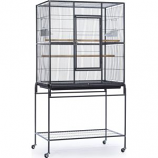 Horizontal side bars vertical bars front and back. Slide out metal grill and plastic tray. 2 wood perches. 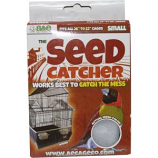 Non-toxic durable and safe powder coated finish. . 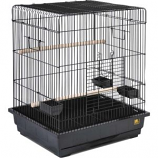 Fits all square and decorative cages from 52-100 inch circumference. Maximum catcher height is 13 inch. . . . 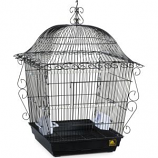 Fits all square and decorative cages from 42-82 inch circumference. Maximum catcher height is 8 inch. . . . 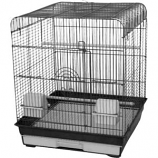 Fits all square and decorative cages from 26-52 inch circumference. 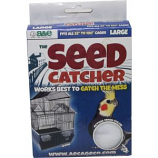 Maximum catcher height is 7 inch. . . .
• This Specially Designed Box Is Open In The Back For Easy Egg Access Through The Back Panel Of Chick-N-Hutch. • Crafted Out Of Unstained Exterior Grade Plywood. • Dimensions Are: 12W X 12. 5D X 12. 5H Inches Made In The Usa. 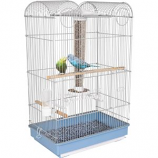 • Roomy Cage Features 2 Large Front Doors For Plenty Of Easy Access To Pets • Removable Bottom Grille and Pull-Out Drawer Make Cleaning Quick and Easy • Includes 2 Plastic Hooded Feed/Water Cups, 4 Wood Perches and Is Designed For Multiples Of Small Birds. 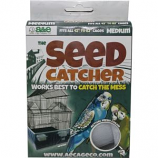 Designed for small birds such as finches canaries and budgies. 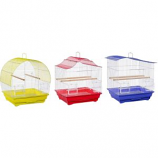 2 hooded plastic cups 2 wood perches bottom grille and pull-out tray included. 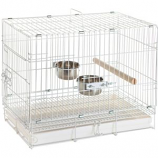 Expertly engineered for pet safety with minimal assembly. 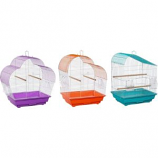 Roomy curved roofline provides additional space for hanging toys. 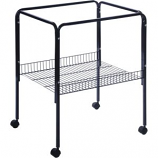 Approximately 14'' long 11'' wide and 18 1/2'' high with 3/8'' wire spacing. 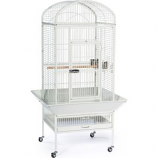 • Roomy Cage Features A Dometop Roof Design, Large Front-Opening Door, Top Carry Handle, Removable Bottom Grille • Also Has Pull-Out Bottom Drawer For Easy Cleaning • Includes 2 Plastic Hooded Cups and 2 Wood Perches and Is Designed For Parakeets, Cockatiels and Other Small To Medium Birds.